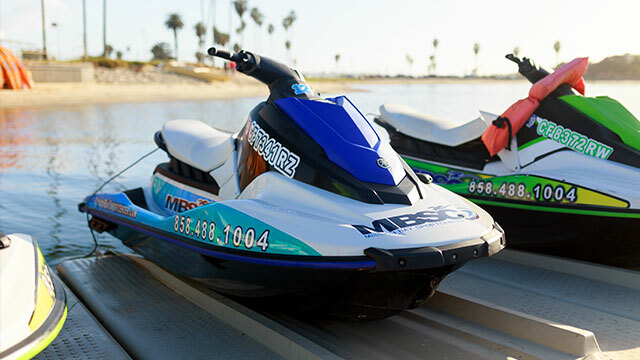 Easy and safe to operate, our jet skis and waverunners are one of our most popular rentals. 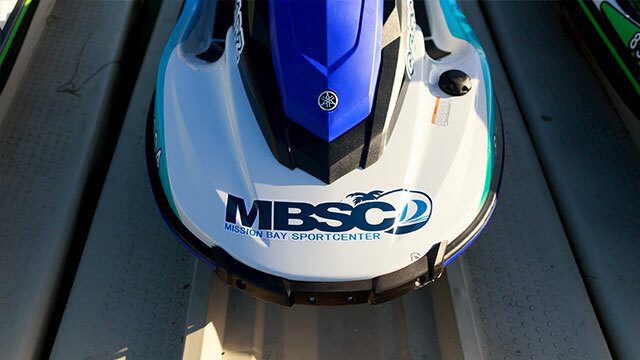 In addition to a pre-launch safety video, our staff will be happy to provide a brief orientation before you leave the dock so you can be confident you’ll have a safe and memorable experience. 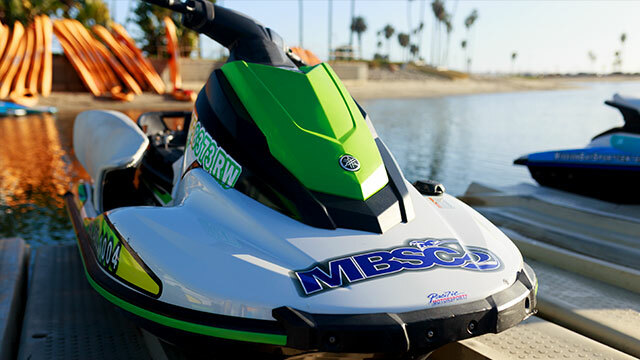 There’s nothing quite like the adrenaline rush of blasting full speed across the flat water of Mission Bay. 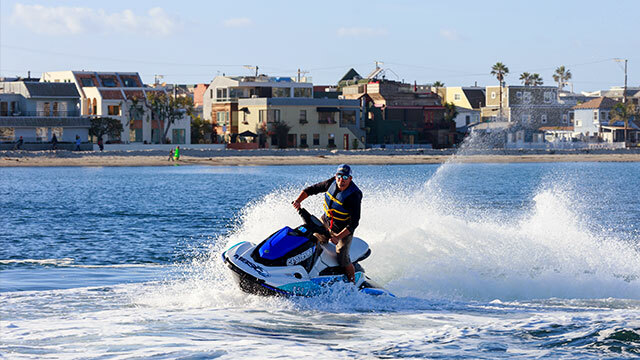 Experience the wind and ocean spray in your face while you fly through the open speed area of Mission Bay. 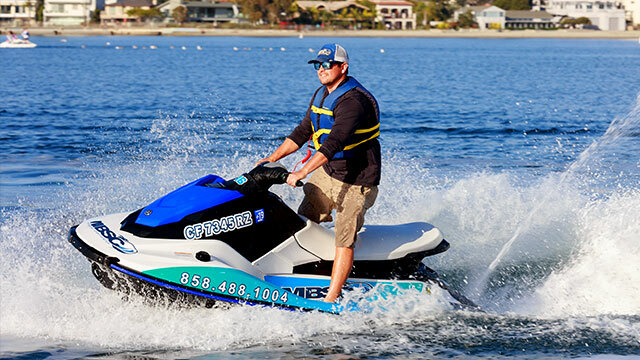 But remember, there is a strictly enforced no wake zone in Santa Clara Bay. 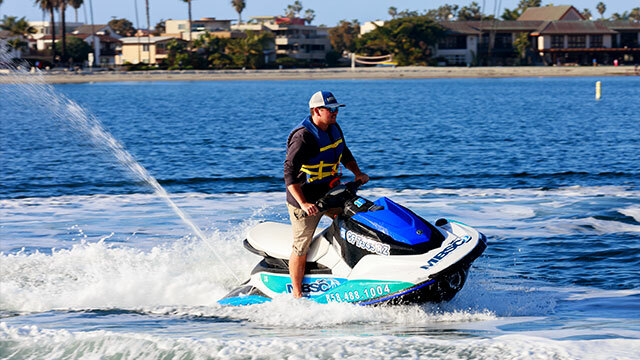 And if you’re feeling a little more adventurous, try our Coastal Jet Ski Tour where you’ll be guided on an unforgettable tour of the San Diego coastline, with a chance to spot whales, dolphins, sea lions, and other local sea life! Call ahead because this tour ventures outside of Mission Bay, so it is subject to the weather and conditions at the time of reservation. Click here for details. Your reservation start time will begin at the designated time that you chose. 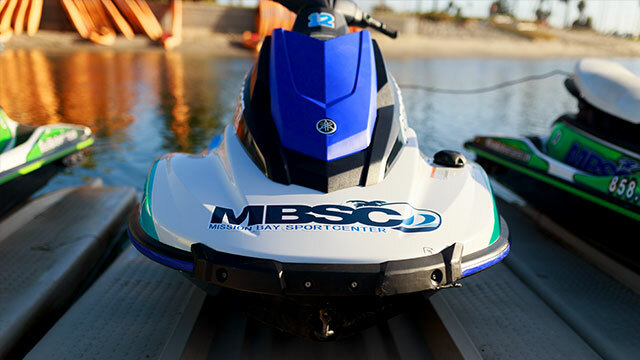 Please arrive 30 minutes early to complete Rental agreement and Safety and Boat checkouts. Due to high demand and time restraints please have your party here early and ready to begin your rental at the designated time. Picture ID and credit card are required for all rentals. Parking is always tight so please plan accordingly.